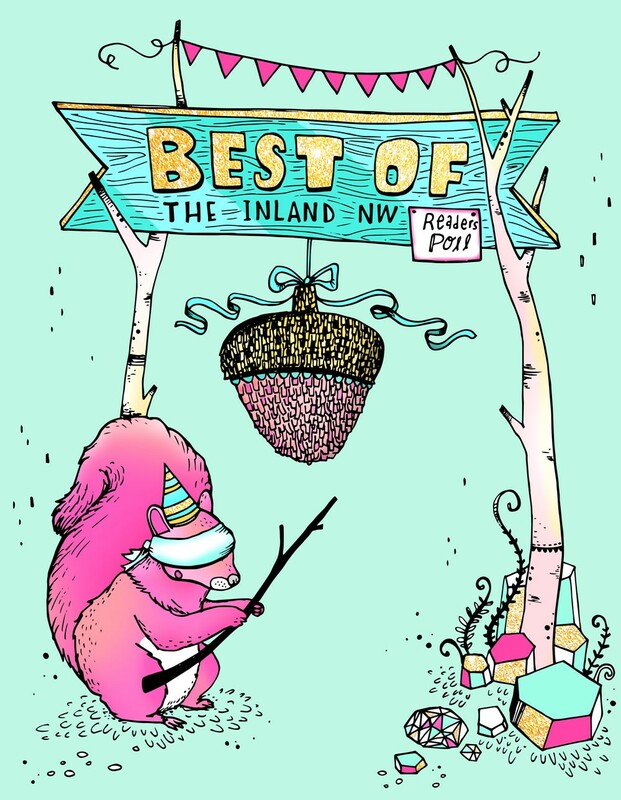 Welcome back to another Best of the Inland Northwest readers poll issue! This year our poll turns 21, so we're completely legal. (Finally!) As the poll enters its third decade, we've been busy keeping up with technology. New this year, voters were able to share their favorite questions via Facebook and even fill out a ballot on their smartphone. For 2014, we also asked more questions than ever — making this not only the original readers poll, but also the biggest in the Inland Northwest. We have a great issue for you to dig into, featuring original artwork by Tiffany Patterson, stories by all the great Inlander writers you know and love and lots of comments from our voters. You'll find our annual clip-and-post Zags poster in the People section, and in Shopping there's a hilarious list of your ideas for a marketing slogan to attract marijuana tourists. New questions this year include Best Bloody Mary and Best Twentysomething Making a Difference, and there's even a whole mini-section on the Best of the Palouse. You'll also meet four new inductees to our Best of Hall of Fame — Stephanie Vigil, the Davenport Hotel, Anthony's and the MAC — winners of a first place award in 10 different years. So settle in for a good read — then get out there and take advantage of all the best things our region has to offer! Best Local Drive-Thru Espresso: Dutch Bros.
Best Touring Musical of 2013-14: Hello, Dolly!